TECHNICAL TIP - WHICH VB PRODUCT SOLVES YOUR SUSPENSION PROBLEM? The vehicle drifts, sags or has to be able to lower at the rear – these are just some of the ( suspension) problems that can occur. Our extensive range of suspension systems means that there is always a product available for your vehicle that can solve your (suspension) problems. 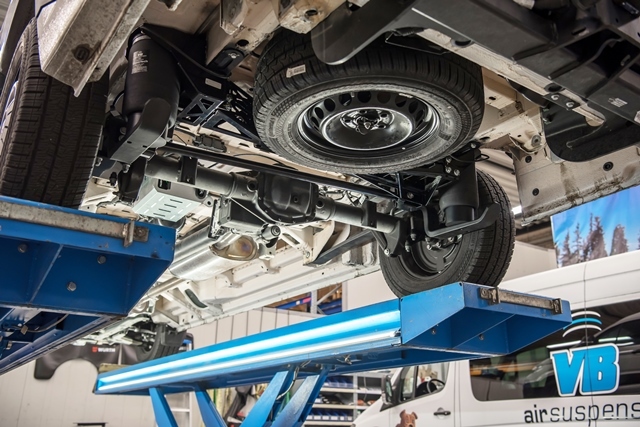 Full air suspension is an automatic, adjustable solution to a suspension problem where the existing leaf or coil spring suspension is replaced by a full air suspension system. Depending on the make and model of vehicle, full air suspension is available for both the front and rear axle. Semi air suspension is a suspension system that helps the existing suspension on the vehicle to correct suspension problems. The auxiliary air suspension system is fitted between the original leaf suspension and the vehicle chassis. Semi air suspension is available for the vehicle’s rear axle. 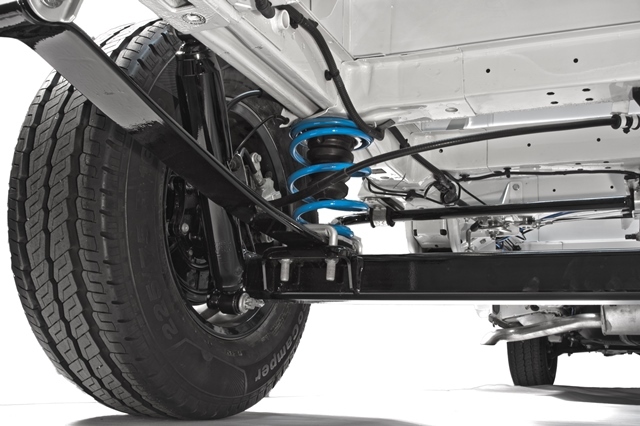 Helper and reinforced springs are suspension systems that support or reinforce the existing suspension system in order to correct a suspension problem. 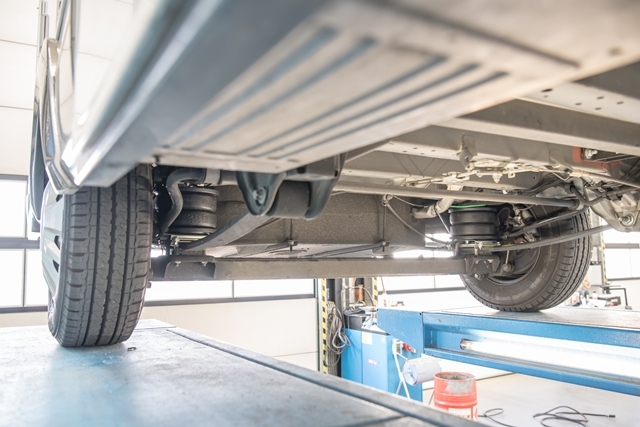 The helper and reinforced springs are either fitted to the existing leaf suspension/coil spring suspension or replace the original coil spring suspension. A reinforced stabiliser is a U-shaped metal rod that supports the existing suspension. The roll stabiliser is added to the existing suspension system and is available for both the front and rear axle. Reinforced shock absorbers have different characteristics. They replace the original shock absorbers, thus becoming part of the existing suspension. Reinforced shock absorbers are available for both the front and rear axle. VB-FSD shock absorbers use VB-FSD technology (FSD stands for ‘Frequency Selective Damping’). VB-FSD shock absorbers replace the original shock absorbers, thus becoming part of the existing suspension. Shock absorbers with VB-FSD technology are available for both the front and rear axle. As you can see, there are quite a few products involved and each of these products has its own features and benefits. So we can easily imagine how difficult it is to determine which product is most suitable for your vehicle. That's why we have created the 'Product selection help' brochure, which helps you to determine in a number of steps which product is most suitable for your suspension problem. Step 1: Use the first table to determine which product group is most suitable for your problem. Step 2: Determine which product from the product group is most suitable for your problem. Step 3: You have found the right product. Step 4: Contact a VB-Partner and request further information about the options without obligation. The 'Product selection guide' brochure can be downloaded via this link.